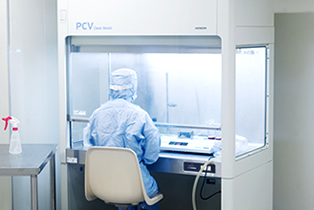 Pharmaceuticals｜Antibiotics (CMO business) Formulation Production Quality control｜API Co., Ltd.
Our Quality Control Department tests raw materials and materials upon arrival and tests finished products before shipment. 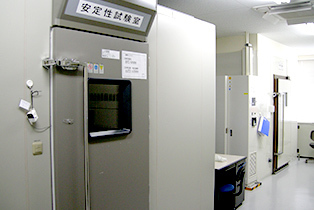 It maintains a clean manufacturing environment and strives for a strict quality control system that is independent from the Manufacturing Department. 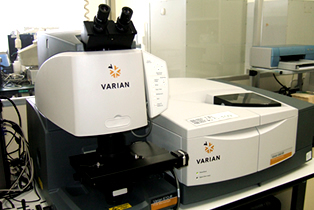 Furthermore, QC aims to improve the quality of drugs based on the principles of GMP. 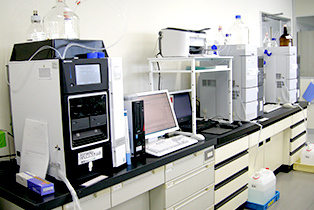 API has high performance liquid chromatographs, UV-visible spectrophotometers, infrared spectrophotometers, insoluble particle measuring devices, gas chromatographs, moisture measurement devices and other advanced analytical equipment needed to test injectable solutions. 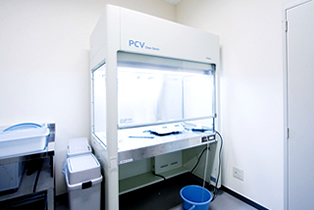 We conduct sterilization tests on sterile ingredients and products in our sterile laboratory. 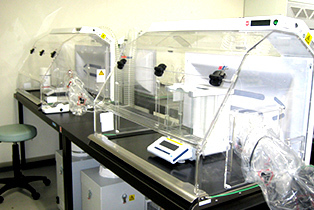 We conduct stability tests on our contract-manufactured products. 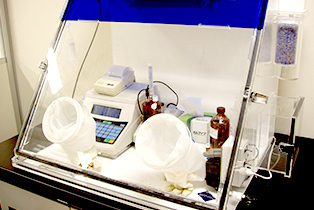 Here we conduct microbiological tests, such as measuring microbe counts in pharmaceutical water and monitoring of the environment in manufacturing areas. 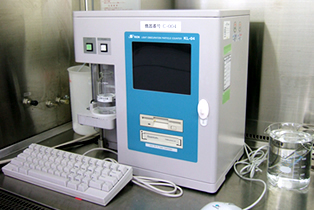 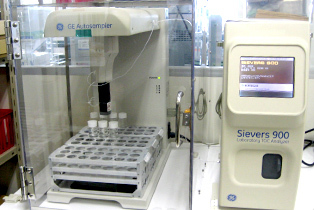 This type of system plays an essential role in testing the quality of pharmaceutical water.